In the last post, I mentioned that I felt like Clean Energy Boom 2.0 was fast approaching. If I learned anything from last year, it’s that when Elon Musk is about ready to make a major announcement to the market, it’s time I start actively paying attention! We all know that lithium (and the mining stocks) boomed last year shortly after March’s Tesla Model 3 unveiling, and I’m sort of anticipating the same type of movement this time around yet again for the mining stocks associated with lithium/cobalt/graphite (maybe). In fairness, last year’s boom fizzled out shortly after all the initial hype subsided, so one should expect to see a ton of volatility in the clean energy/electric vehicle space for the foreseeable future. Nevertheless, the fact of the matter is — We are still in the wee early stages of the next major paradigm shift. Even now, I don’t think we are out of the 1st inning of a 9 inning ballgame, so there’ still plenty of time for investors/speculators to get well situated in the ideas they think will benefit the most from this impending revolution that is set to take full flight over the next decade or so. 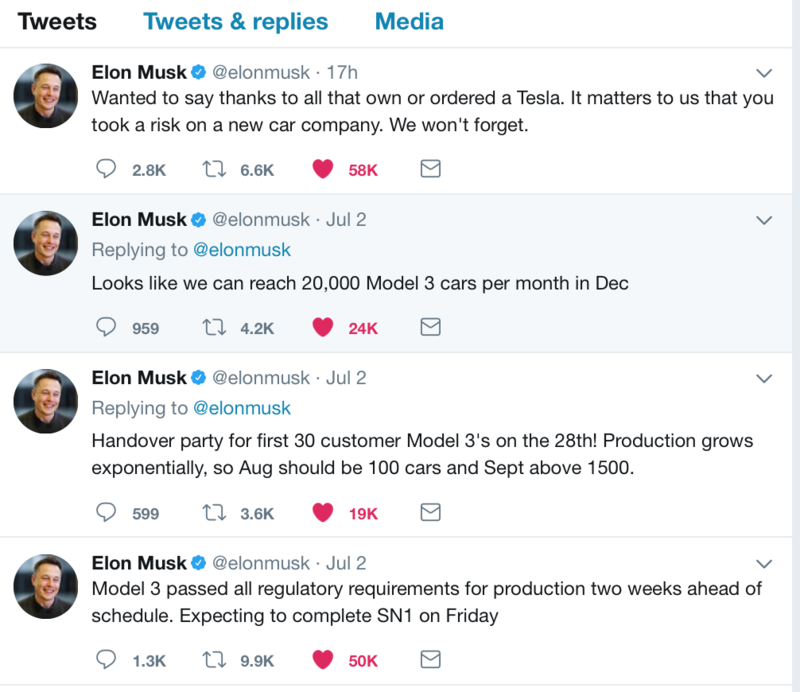 True to form, Elon Musk did not disappoint and just like he said, there was a news announcement regarding Model 3 tweeted on Sunday night, July 2. Last year, I was late to the party and more reactive than proactive… I’m guilty of chasing after moving momentum trains, I will confess. This time around, I elected to go shopping for more cobalt stocks as soon as the Australian Stock Exchange (ASX) opened up for business late Sunday night; I had done my homework in advance and was determined to get positioned before the above tweets were made. So, I got to work and purchased 45,000 shares of Ardea Resources (ARL.AX/ARRRF) @ ~A$0.60/share. 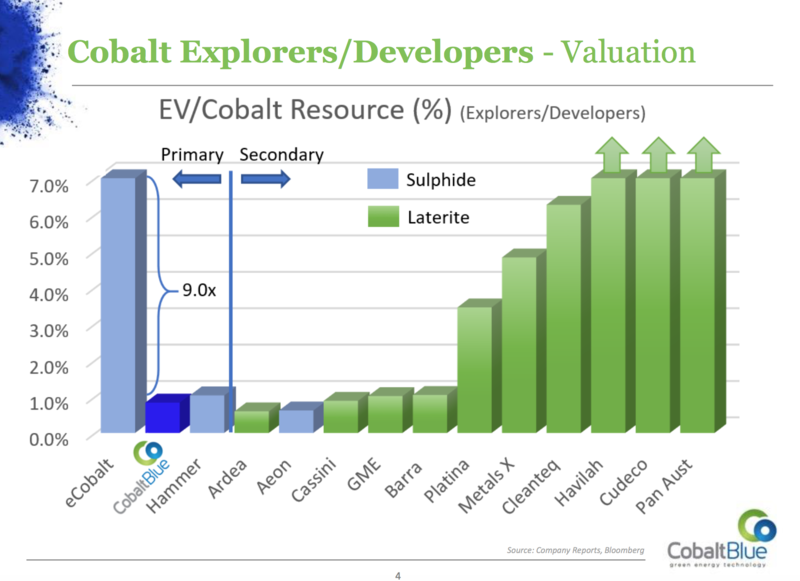 Ardea Resources is a cobalt stock that I’ve been tracking for a few months (shout out to @Pamplonatrader on CEO.CA who was one of the first people I know of to pick up on this stock… and that’s where this idea originated from for me). 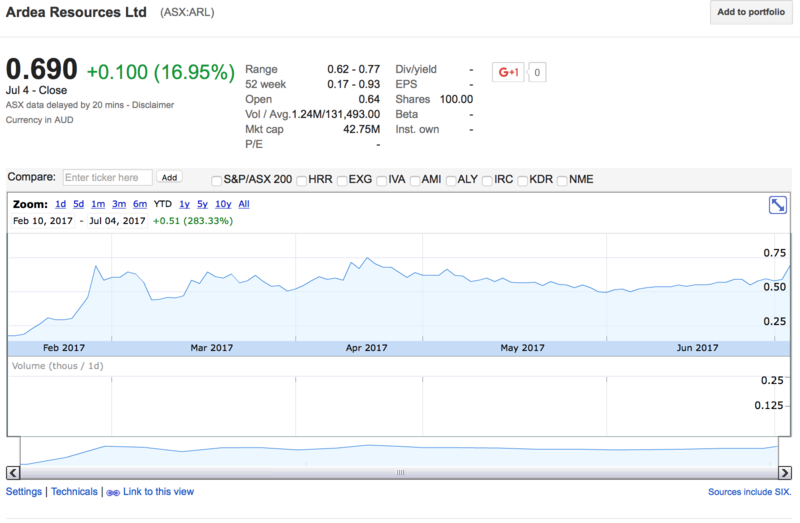 ARL.AX has been on my watchlist for awhile, but I never made a move up until now because as you might recall, cobalt stocks (and the metal itself) were moving up readily earlier this year, and shares of ARL.AX hit as high as A$0.93/share in February. You guys all know full well that my track record when it comes to chasing assets up to the moon is rather atrocious, so although I was disappointed that a promising idea got away from me, I told myself I would resist the urge to chase up, knowing that it’s typically not a good strategy to be buying something sitting at 52 week highs. Anyway, the cobalt mining stocks have all cooled off a bit over the last few months (thankfully), so I gave ARL.AX some time to settle and find a base before deciding to move in. However, once I got word that Elon Musk was about to make a major announcement regarding Model 3, I said the time for patience is over. Now, let’s get to Ardea Resources. Ardea Resources is a recent spin-out from Heron Resources (HRR.AX). Ardea IPO’d in February of this year, and shares are up 283% year-to-date. 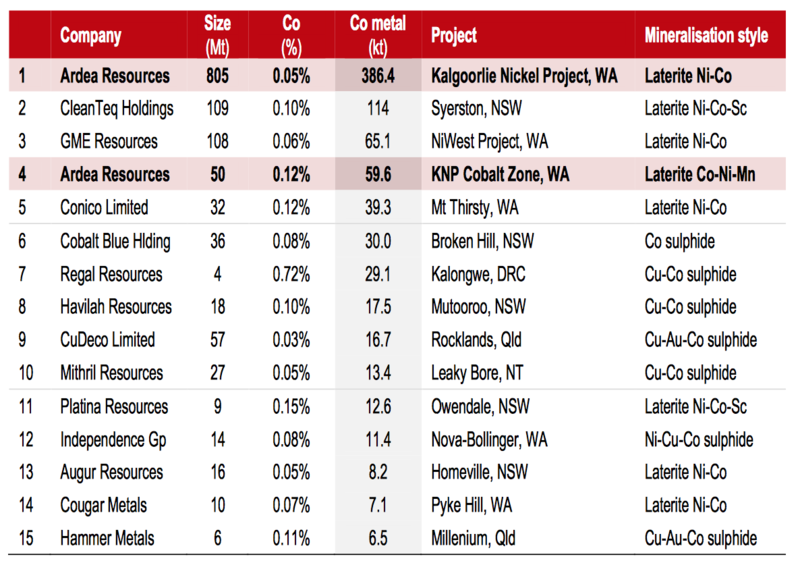 As part of the spin-out, Ardea acquired interest in a few key assets, most noteworthy the Kalgoorlie Nickel Project (KNP), a really large (but for the most part uneconomical) nickel laterite/cobalt project located in Western Australia. Up until 2016, base metals (nickel/copper/lead/zinc/etc.) were all ensnared in a brutal bear market, and niche metals like cobalt were no exception. So, although over $50 million had been spent on KNP (on 100,000 meters of drilling, metallurgical work, resource upgrades, studies) in the past from previous owners Vale Inco and Heron Resources, the economics weren’t attractive enough to put this project into commercial production. 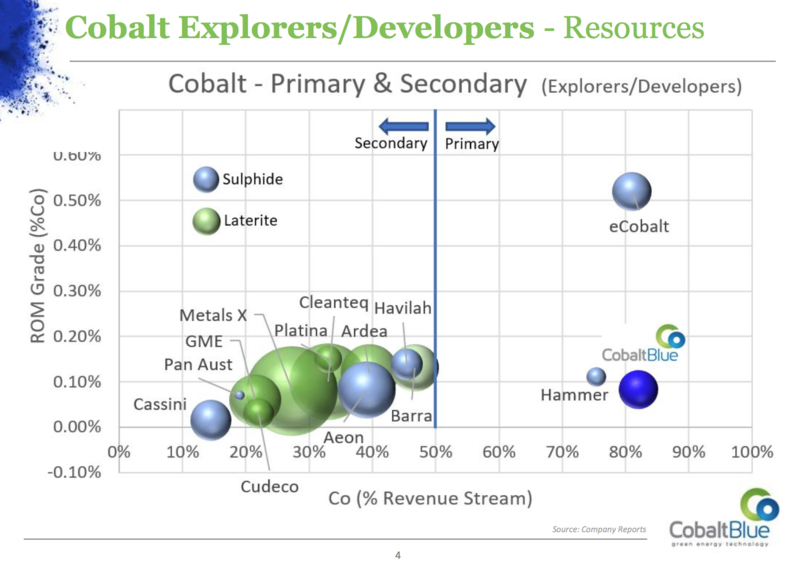 However, with cobalt doing this over the last year or so, the KNP story has changed profoundly. 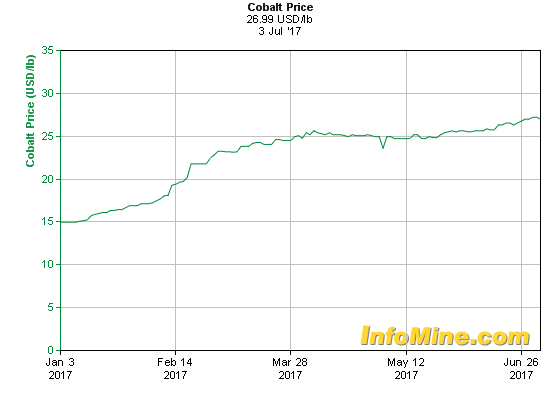 The cobalt price is close to doubling since the start of this year! 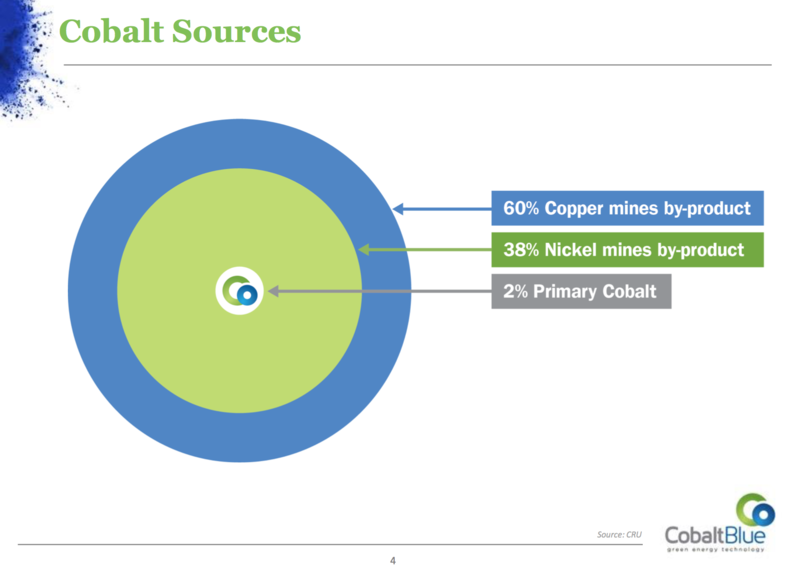 Also, as readers probably are well aware, there are only a handful of primary cobalt deposits out there in the world; the majority of deposits produce cobalt as a byproduct, with copper/nickel being the primary product. In the case of KNP, it’s no different — Nickel is the main course, and cobalt is just the side order. But when you’ve got an order of lots and lots and lots of sides, it can still pack quite a wallop. 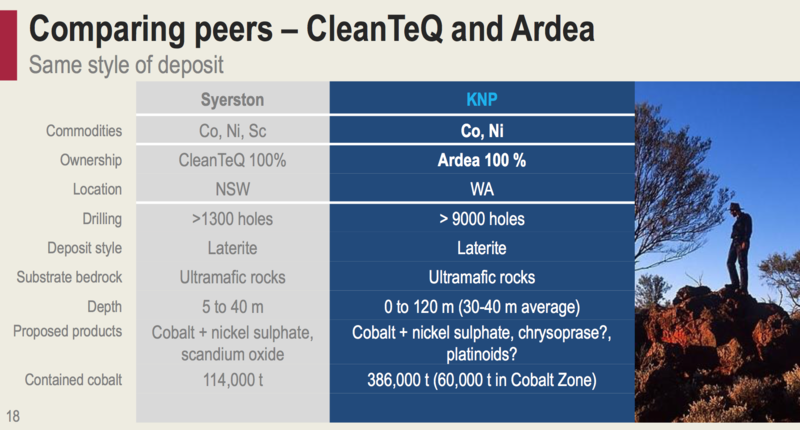 Here is how KNP stacks up against other cobalt projects out there. Total contained cobalt metal is 386,400 tonnes. 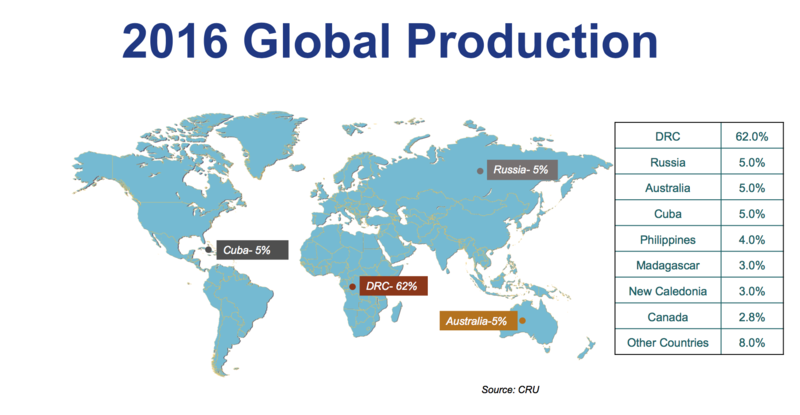 KNP currently ranks as the developed world’s largest known and discovered cobalt resource. Just accounting for the high-grade zone (KNP Cobalt Zone) @ 0.12% cobalt, the project still boasts an impressive 59,640 tonnes, which in terms of size dwarfs most other junior cobalt resources out there. 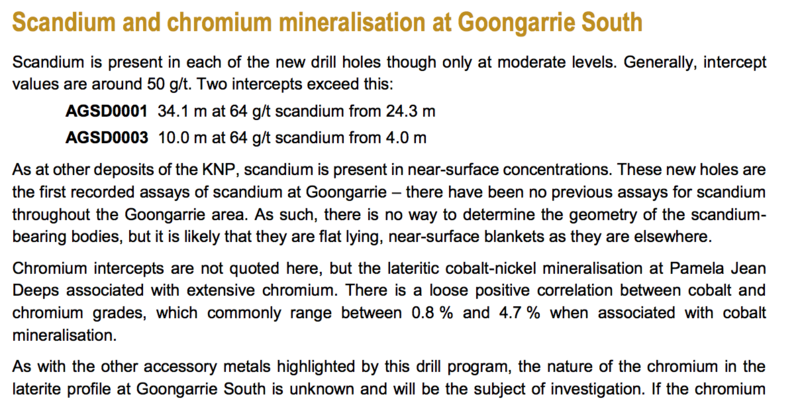 Please note — Ardea recently upgraded the resource (see below) of the KNP Cobalt Zone. The resource at KNP Cobalt Zone now sits at 65.7Mt @ 0.13% cobalt. Total contained cobalt is 83,000 tonnes (up a significant 39% from the previously reported 59,640 tonnes). Quite frankly, when it comes down to it, although having MASSIVE amounts of cobalt is nice, I really only care about the KNP Cobalt Zone (which in of its own is still quite MASSIVE). I look at the larger total resource (386,400 tonnes) as nothing more than a free (but worthless at this time) call option. My entire investment thesis is predicated on Ardea being able to eventually produce an advanced study (Pre-Feasibility Study or Definitive Feasibility Study) showcasing KNP Cobalt Zone as being economically robust. In other words, my focus is solely on the 65.7Mt @ 0.13% cobalt. As this project and company are still very early stage, investors/speculators should realize that there are no guarantees that KNP Cobalt Zone will ever enter commercial production and produce real profits! As ALWAYS, please do your own research and due diligence before putting at risk any of your own capital. 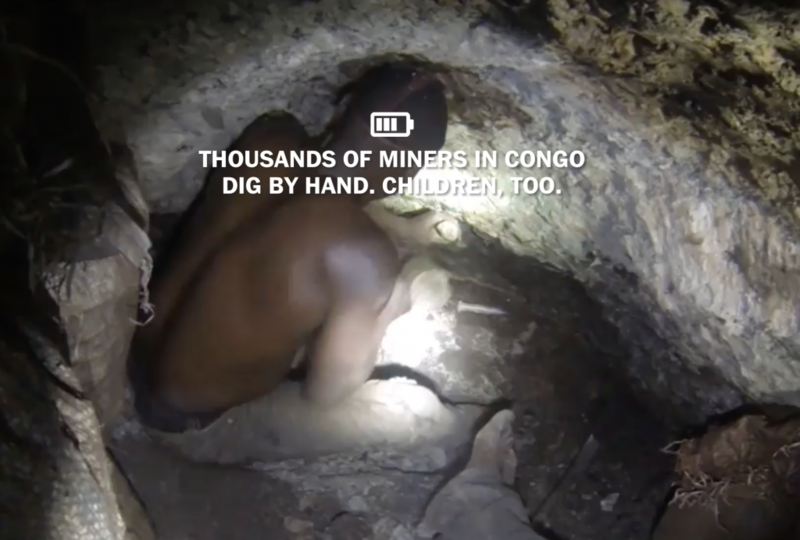 Also worth noting is that over 60% of the world’s cobalt supply comes from the highly unstable and risky Democratic Republic of Congo (DRC). It’s been in the headlines a lot lately that many battery manufacturers and producers are looking to secure reliable supply chains in more stable jurisdictions that are “ethically sourced”. KNP is based in Western Australia and could provide a long-term solution to this problem. From the Washington Post (a must read article). So, with KNP Cobalt Zone and Ardea Resources, we’ve got a huge cobalt project located in a tier-1 safe and stable jurisdiction. It all comes down to economics!!! And since we are in the early days of Ardea, there are no relevant economic studies (Scoping Study, PFS, DFS, etc.) that one can use at this time to give us a good indicator to show us whether or not KNP Cobalt Zone will work economically or not… All the studies done in the past emphasized KNP as a nickel project (pre-electric vehicle days, cobalt was nothing more than an afterthought for mining companies, for good reason) and did not focus on the KNP Cobalt Zone. Here’s the closest and most relevant peer example we can draw from today, Clean TeQ Holdings (CLQ.AX). Nickel Laterite (with cobalt and scandium byproducts) vs. Nickel Laterite (with cobalt byproduct). New South Wales (Australia) vs. Western Australia (Australia). Here’s a slide comparing the resource size of the two projects. 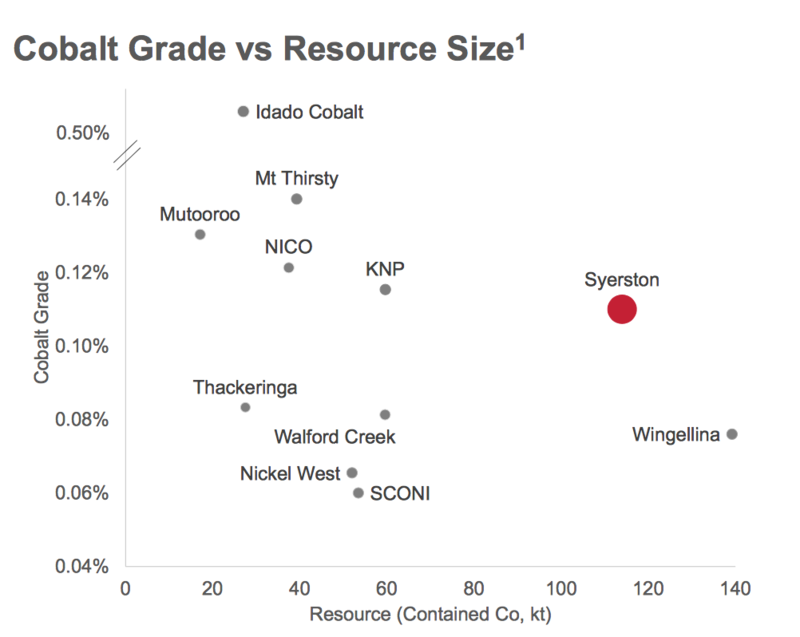 Clean TeQ is further ahead in terms of development of their Syerston project. The following are the PFS highlights for Syerston. 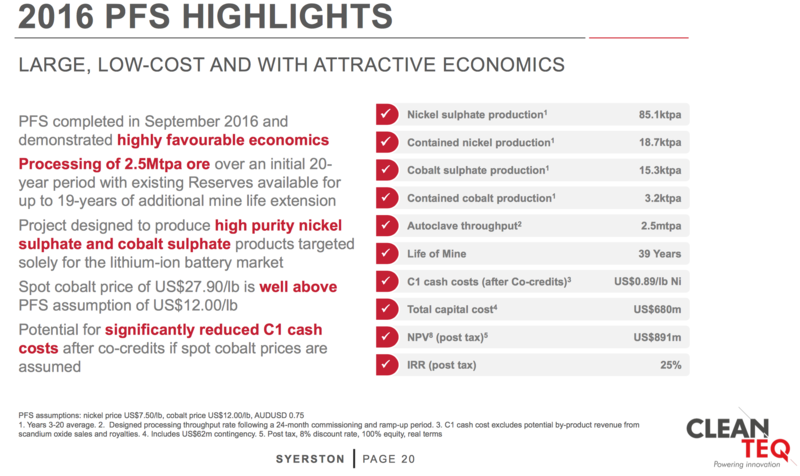 The PFS for Syerston was completed in 2016, so with the price of cobalt rising so sharply since then, the assumed metals prices used in the study are essentially obsolete (PFS assumed cobalt price of $12/lb and we are at ~$27/lb today). Most worth noting is that the assumed nickel price was set at $7.50/lb. Total capital costs for Syerston are also a really hefty $680 million. 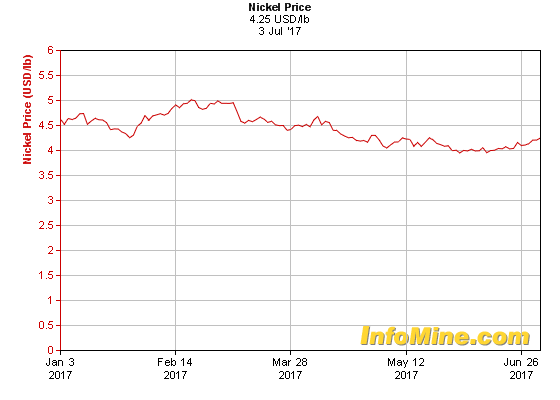 In any case, a rising cobalt price will no doubt help create a nice tailwind, but let’s not forget that with these low-grade nickel spec plays, we ultimately need the nickel price to catch up (to a meaningful degree) in order for the economics to work well enough for these mines to go into production. I suppose the scandium credits could help too, and recently Ardea has announced to market that they are hitting scandium at KNP as well. 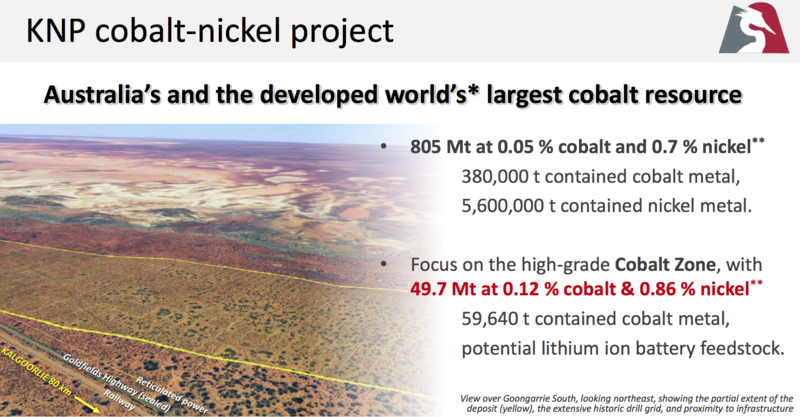 Anyway, I have high hopes that KNP Cobalt Zone will prove itself to be viable project in the coming months/years ahead. The market cap of CLQ.AX is ~A$400 million. In comparison, ARL.AX is trading at ~A$46 million. As of March 31, Clean TeQ has ~A$94 million of cash in the treasury. Ardea has ~A$4 million. So, rough estimate it out to be CLQ.AX enterprise value of ~A$300 million and ARL.AX enterprise value of ~A$40 million. Still quite the gap between the two companies… Kind of reminds me of the gap that existed between Nemaska Lithium (NMX.TO/NMKEF) and Critical Elements (CRE.V/CRECF) last year (two very similar hard rock lithium projects, both based out in Quebec). 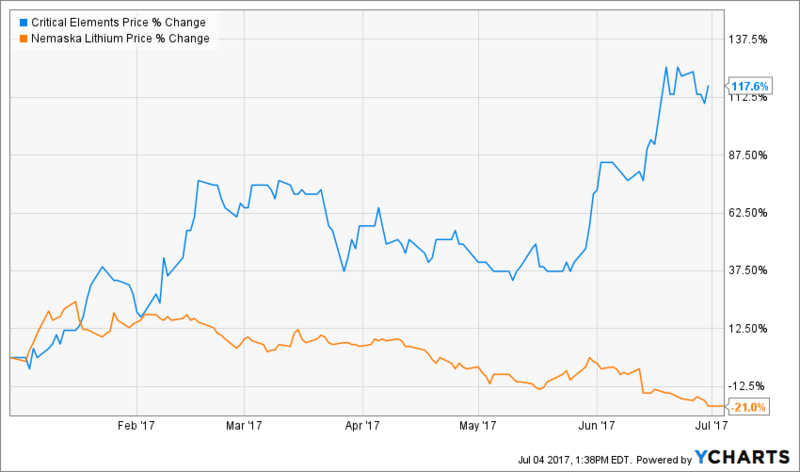 Share price performance comparing NMX.TO to CRE.V, YTD. 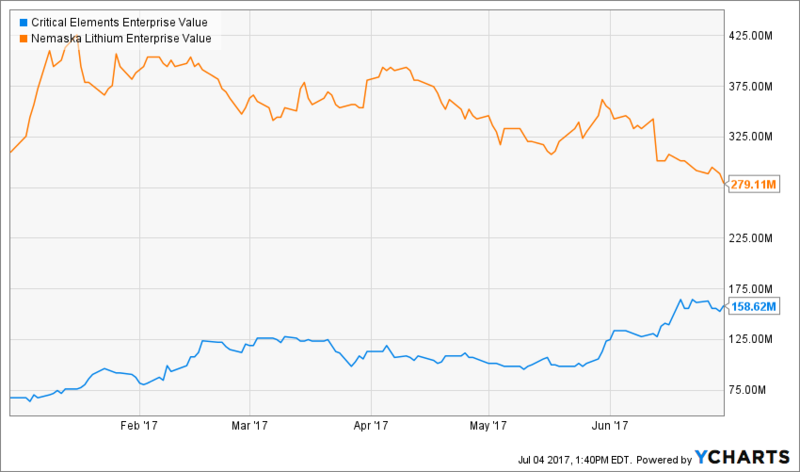 Check out the converging Enterprise Value between NMX.TO and CRE.V, YTD. And that’s a good reason why I elected to add shares of ARL.AX over CLQ.AX at this time. Yes, there are still a ton of risks and uncertainties with Ardea (the next step is metallurgical testing which should reveal a lot of important information), but I like the upside potential moving forward; I see cobalt prices rising further still, and over enough time (say a few years), I can envisage a market where the nickel price recovers quite a bit too. Given the attractive: project size, location, and current market cap/enterprise value of Ardea Resources, I’m happy to add shares at these levels. But to be clear here — I’m after economical cobalt plays… Something that’s out-of-the-money by just a hair at today’s metal prices is the extent of my risk tolerance… I’m NOT out to collect way out-of-the-money “call option” cobalt stocks that don’t have any realistic hope of ever making it to commercial production. Last time around, I let readers know that I was in the market for another cobalt stock. To trade foreign securities (i.e. 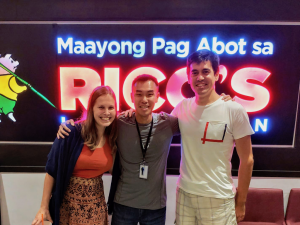 junior penny stocks), it would make sense to sign up to a platform like Interactive Brokers, or Schwab Global so that you can purchase these shares on their native listing (e.g. ASX, TSX, TSX-V, AIM, etc.) in their native currencies… With mining stocks, those exchanges are where most new companies set up shop. However, if you want to stick to large cap majors, you can just look for names trading on the NYSE. Another option is to just stick to Schwab One and trade on the OTC market using US dollars. Schwab One is nice in the sense that your order is automatically routed to both the OTC exchange and the native exchange, and you’re able to fill your order on either one, or both. The commission is only like $4.95/trade + market maker fees to swap currencies back and forth (again done automatically so you don’t have to do anything yourself). The best deal with Schwab one compared to Schwab Global is you can place orders directly yourself online without having to phone them each time you want to trade. Yeah, I would read up a bunch of articles and the “Start Here” tab has a lot of stuff I’ve written in the past. Study up a lot before getting too active in this game… There are a lot of risks/pitfalls inherent in this space, so do your best to learn from the mistakes made by others. Also, until you feel pretty confident and feel like you have a good grasp on mining stocks, I would really caution you (or anyone else) to risk any kind of meaningful capital… In other words, only buy a very tiny tranche to get started with, or buy nothing at all until you feel like you have a good understanding of the space and what you are buying… Absolutely no reason at all to rush into this sector… There’s always another train arriving at the station so missing out on any potential gains should be the last thing on anyone’s mind who is just getting started. In regards to Avnel Gold, the takeover was already announced so in a sense it is too late… Buying Avnel Gold now should be no different than buying shares of Endeavour Mining since the two will track each other due to the merger/acquisition terms. You are kidding yourself, lithium batteries requires the metals of Li and Cobalt which are both rare metals. Look, the lithium price as commodity has been more than tripled last five years. The more electrical cars are built, the more they will become more expensive as well as lap tops have been becoming more expensive. Tesla, has not made a dollar profit even being heavily subsidized by governments. Any new products, without the cost being driven down by mass production, will not become main stream consumer goods in a capitalist economy ( less input to produce more output is truly capitalism, subsidy is communist economy which only produce poverty). It is so silly also to assume some sort of new technology will emerge to save us, do not forget during our human existence on this planet, about one million years, we were stuck as being primitive savages for almost 99% of our existence, all the modern sciences have only been discovered 10 thousand years ago. what qualifies anyone to predict new sciences will keep being discovered for the next 10 thousand years ? ?